Over 12 hours of film chronicle the most significant event of the 20th century. 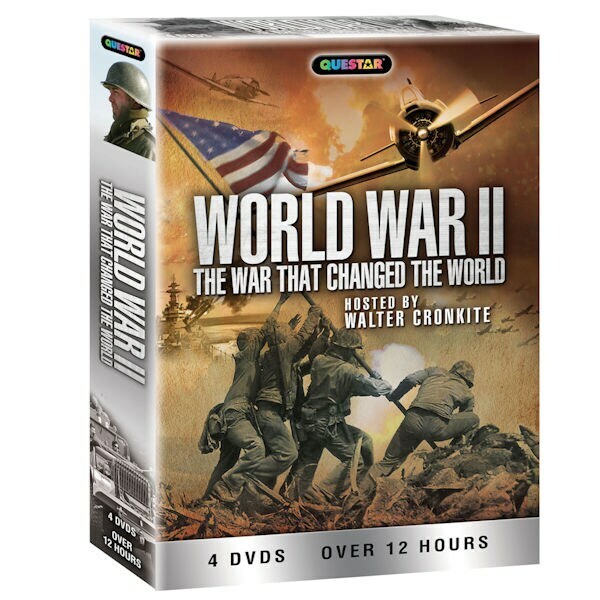 Hosted by Walter Cronkite, this moving collection includes firsthand accounts from soldiers, sailors, marines, and airmen who served; coverage of the Pearl Harbor attack; and the powerful, convincing WWII films of John Ford and Frank Capra, which helped Americans understand why it was important for the United States and its citizens to join the fight. 12 hrs, 4 DVDs. B&W and color. DVD 1: Heroes of World War II - World War II was the most significant event of the 20th Century. 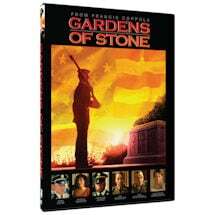 Six million men and women served in the U.S. armed forces and over 400,000 died. 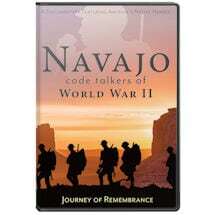 They were all heroes and this program gives firsthand accounts from the soldiers, sailors, marines and airmen that were there. It is just a small reminder of the great sacrifice that our fathers, grandfathers, uncles and cousins made in lands they never heard of but where many of them are quietly laid to rest. DVD 2: Pearl Harbor-America Taken by Surprise - Prior to December 7, 1941, American defense at Pearl Harbor remained lax up to the very moment of the attack. Then it happened! The Japanese air attack destroyed the U.S. forces in Hawaii and over 2,000 Americans perished. That was the beginning of America's involvement in World War II. DVD's 3 & 4: Why We Fight - Soon after the attack on Pearl Harbor, the U.S. Government went to Hollywood for the best filmmakers to convince Americans, "Why We Must Fight." 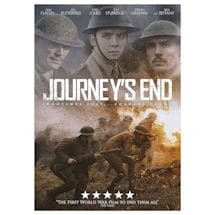 John Ford and Frank Capra produced what is considered to be the most powerful, convincing documentaries of World War II.